artigo Second Life Physics: Virtual, Real or Surreal? Second Life Physics: Virtual, Real or Surreal? publicado no Journal of Virtual Worlds Research, v. 2, n. 1, (special issue: Pedagogy, Education and Innovation in Virtual Worlds), Apr. 2009. Science teaching detached itself from reality and became restricted to the classrooms and textbooks with their overreliance on standardized and repetitive exercises, while students keep their own alternative conceptions. Papert, displeased with this inefficient learning process as early as 1980, championed physics microworlds, where students could experience a variety of laws of motion, from Aristotle to Newton and Einstein or even “new” laws invented by the students themselves. While often mistakenly seen as a game, Second Life (SL), the online 3-D virtual world hosted by Linden Lab, imposes essentially no rules on the residents beyond reasonable restrictions on improper behavior and the physical rules that guarantee its similitude to the real world. As a consequence, SL qualifies itself as an environment for personal discovery and exploration as proposed by constructivist theories. The physical laws are implemented through the well-known physics engine Havok, whose design aims to provide game-players a consistent, “realistic” environment. The Havok User Guide (2008) explicitly encourages developers to use several tricks to cheat the simulator in order to make games funnier or easier to play. As it is shown in this study, SL physics is unexpectedly neither the Galilean/Newtonian “idealized” physics nor a real world physics virtualization, intentionally diverging from reality in such a way that it could be called hyper-real. As a matter of fact, if some of its features make objects behave “more realistically than real” ones, certain quantities like energy have a totally different meaning in SL as compared to physics. Far from considering it as a problem, however, the author argues that its hyper-reality may be a golden teaching opportunity, allowing surreal physics simulations and epistemologically rich classroom discussions around the “what is a physical law?” issue, in accordance with Papert’s never-implemented proposal. ABELSON, H. & diSESSA, A. (1981). Turtle geometry: Computations as a medium for exploring mathematics. Cambridge, MA: MIT Press. AZUMA, R., BAILLOT, Y., BEHRINGER, R., FEINER, S., JULIER, S., & MacINTYRE, B. (2001). Recent advances in Augmented Reality. IEEE Computer Graphics and Applications, 21, p. 34-47. BACHELARD, G. (1984). The new scientific spirit. Boston: Beacon Press. Baudrillard, J. (1983). Simulations. New York: Semiotext(e). BESTEBREURTJE, T. (2007). Second Life: A model for applications - Generic web support for serious games in Second Life and beyond. Retrieved October 29, 2008 from here. BRADLEY, J. (2008). Creating life-size molecules in Second Life. [Interview]. Campus Technology. Retrieved January 9, 2008 from here. Breton, A. (1971). Surrealist Manifesto. In: P. Waldberg, Surrealism. New York: McGraw-Hill, p. 66-75. BORBA, M. C. & VILLAREAL, M. (2005). Humans-with-media and the reorganization of mathematical thinking: Information and communication technologies, modeling, visualization, and experimentation. New York: Springer-Verlag. BUNGE, M. (2003). Quantons are quaint but basic and real, and the quantum theory explains much but not everything: reply to my commentators. Science & Education, 12, p. 587-597. CALOGNE, C. & HILES, J. (2007). Blended realities: A virtual tour of education in Second Life. Technology, Colleges & Community (TCC) 12th Annual Worldwide Online Conference April 17-19, 2007. Retrieved October 12, 2008 from here. CONKLIN, M. S. (2007). 101 Uses for Second Life in the college classroom. Retrieved October 29, 2008 from here. CROMBIE, A. C. (1973). Augustine to Galileo: The history of science A.D. 400-1650. London: William Heinemann. DEDE, C. (1995). The evolution of constructivist learning environments: Immersion in distributed, virtual worlds. Educational Technology, 35, p. 46 52. Retrieved October 29, 2008 from here. DIJKSTERHUIS, E. J. (1969). The origins of classical mechanics from Aristotle to Newton. In: M. Claget (Ed. 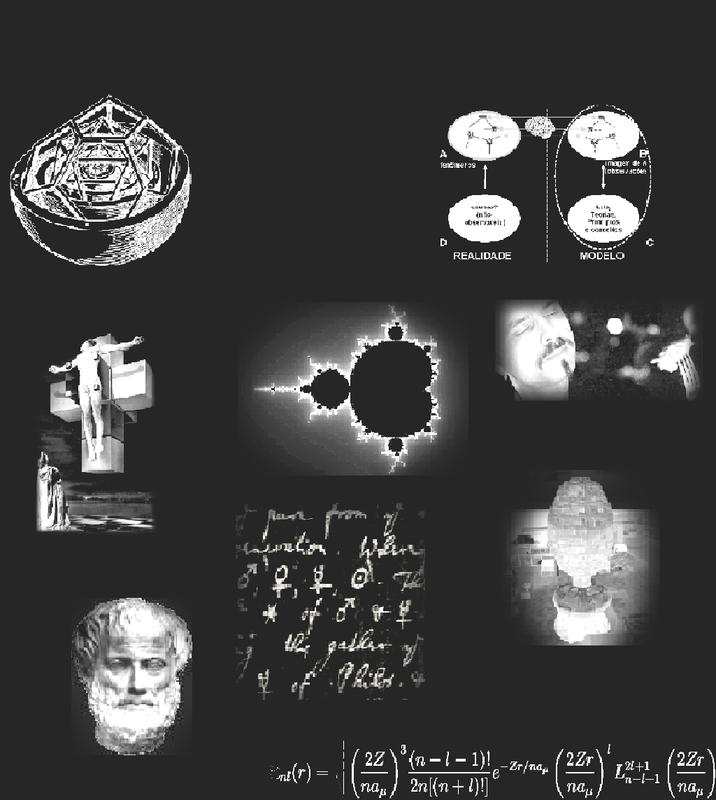 ), Critical problems in the history of science. Madison, WI: University of Wisconsin Press, p. 163-184. DRIVER, R. (1989). Changing conceptions. In: P. Adley, J. BLISS, J. Head & M. Shayer (Eds. ), Adolescent Development and School Science. London: The Falmer Press. DUGAS, R. (1955). A history of mechanics. Neuchâtel, Switzerland: du Griffon. Eco, U. (1986). Travels in hyperreality: Essays. (W. Weaver, Trans.). San Diego, CA: Harcourt Brace Jovanovich. Eadweard Muybridge. (2009). In Encyclopædia Britannica. Retrieved February 11, 2009 from here. ELIȄNS, A., FELDBERG, F., KONIJN, E., & COMPTER, E. (2007). VU @ Second Life - Creating a (virtual) community of learners. In: L. Rothkrantz & C. VanderMast (Eds. ), EUROMEDIA’2007. Proceedings of the Euromedia conference; Delft, The Netherlands, April 25-27, 2007. Ostend, Belgium: EUROSIS, p. 45-52. Retrieved January 13, 2008 from here. GARCIA, M. (2008). Download or upload? The use of technology for higher education learning and management. XXV Jubilee World Buiatrics Congress, Budapest, Hungary, July 6-11, 2008. Retrieved May 21, 2008 from here. Guidelines for educators. (2008). Retrieved November 30, 2008 from here . HAVOK. (2008). Havok physics animation v. 6.0.0 PC XS User Guide [Computer software]. Dublin, Ireland: Havok. Havok in the movies. (n.d.) Retrieved October 16, 2008 from here. IRWIN, W. (Ed.). (2002). The "Matrix" and philosophy: Welcome to the desert of the real. Chicago: Open Court. JAMMER, M. (1997). Concepts of mass: In classical and modern physics. Mineola, NY: Dover. JENKINS, H. (2006) Confronting the challenges of participatory culture: Media education for the 21st Century. Cambridge, MA: MIT MediaLab. JONES, D. E. (2006). I, Avatar: Constructions of self and place in Second Life and the technological imagination. Gnovis, Journal of Communication, Culture and Technology, 6. Retrieved April 22, 2008 from here. KOYRÉ, A. (1978). Galileo studies. (J. Mepham, Trans.). Atlantic Highlands, NJ: Humanities Press. LaROSA, C., PATRIZI, P., & VICENTINI-MISSONI, M. (1984). Commonsense knowledge in optics: Preliminary results of an investigation into the properties of light. European Journal Science Education, 6, p. 387 397. LÉVY P. (1998). Becoming virtual: Reality in the Digital Age. (R. Bononno, Trans.). New York: Plenum Press. Linden Lab Management (n.d.). Retrieved October 29, 2008 from here. LSL Portal. Retrieved October 29, 2008 from here. LSL Wiki. Retrieved October 29, 2008 from here. McCLOSKEY, M. (1983). Intuitive Physics. Scientific American, 248, p. 122 130. MEDEIROS, J. (2008). Doing physics in Second Life. Physics World, 21. Retrieved November 26, 2008 from http://physicsworld.com/cws/article/print/32673. MORGAN, M. & MORRISON, M. (Eds.). (1999). Models as mediators. Cambridge: Cambridge University Press. NEWTON, I. (1947). Sir Isaac Newton's Mathematical Principles (2nd ed.). (A. Motte, Transl.). Berkeley: University of California Press. PAPERT, S. (1993). Microworlds: Incubators for knowledge. Mindstorms: Children, computers and powerful ideas. Jackson, TN: Perseus Books, pp. 120 134. PARKINSON, G. (2008). Surrealism, art and modern science: Relativity, quantum mechanics, epistemology. London: Yale University Press. PIAGET, J. (1987). Possibility and Necessity. Minneapolis: University of Minnesota Press. PIAGET, J. & GARCIA, R. (1989). Psychogenesis and the history of science. (Helga Feider, Transl.). New York: Columbia University Press. PLUTARCH. (1919). The parallel lives: Vol. VII. The life of Julius Cæsar. (Bernadotte Perrin, Transl.) Cambridge: Harvard University Press. Retrieved October 29, 2008 from here. SEXL, R. U. (1981). Some observations concerning the teaching of the energy concept. European Journal of Science Education, 3, p. 285 289. SL Wiki. Retrieved October 29, 2008 from here. SL Wikia. Retrieved October 29, 2008 from here. WALKER, J. (1990). Through the looking glass. In: B. Laurel (Ed. ), The art of computer-human interface design. Menlo Park, CA: Addison-Wesley, p. 213-245.